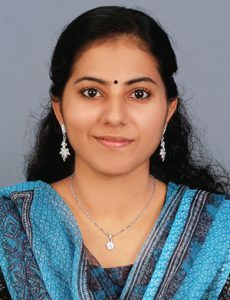 Neethu P.S, Sudha T, “A novel compact single fed polarization reconfigurable antenna for wireless LAN systems,” International Journal of Electronics and Communication Engineering and Technology (IJECET), 51, Issue. 4, pp. 72-79, April 2014. Engineering-Computational Electromagnetics, ISBN:978-981-10-2272-2, 51p., 2016. Neethu P.S, Sudha T, “Patch antenna for wireless LAN systems with polarization reconfigurability,”proceedings of IEEE National Conference on Communication, Signal Processing and Networking(NCSSN 2014),Palakkad, Kerala, 3p., Oct, 2014. Singh, Neethu P.S, and M. Dutta, “Active Cancellation of Hostile RADAR Sources in Conformal Array,”in Proceedings of International Radar Symposium (IRSI - 2015), Bangalore, 5 p., 15-19th Dec. 2015. Subhalakshmy A.B., Neethu P.S., and Hema Singh, “Numerical-based Radar Cross Section Estimation of Dielectric Cylinder,” in Proceedings of 34th IRF International Conference, Bangalore, ISBN: 978-93-85832-93-2, pp.36-39, 24th Jan. 2016. Venu K.S., Neethu P.S., Hema Singh, A. Saravanan, Abanti Nag, N.